Despite the abilities of your staff, didn’t it take a lot of energy to make sure everyone was on the same page? After all, everyone had worked under very different conditions before being called together suddenly just for the development of the next Smash Bros.
I’m not sure everyone was fully on the same page, but they’re all grown ups! (laughs) And if there is one thing you can say about the people we assembled for the project, it’s that they had a clear desire to work on the next Smash Bros title. I think this saved us from encountering problems. Right. (laughs) Everyone was pretty reasonable in that sense. You know, these aren’t the type of procedures I would employ for just any game. I mean, if this was a regular game, I would never work this way. 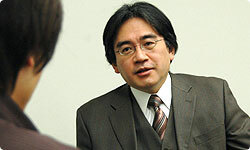 My decision to pursue the project in this way rested on one point and one point alone, and it is deeply tied to the fact that I have the utmost faith in a man named Masahiro Sakurai. To state it simply, you are capable of taking a project with nothing and visualizing a completed game almost perfectly in your head. As I mentioned earlier, you and I have a long history working together at HAL Laboratory. When involved on the same project, you were able to point out the smallest details even when the product had yet to take shape. The details were so small and so specific that, as a programmer, I thought there was no way you could know what you knew without actually trying it first. As the game progressed and took shape, however, it was clear that we needed to address the details in just the way you had described. So I would ask “did you really know this right from the start?” I mean, this was over ten years ago, but I remember you said you did and I thought to myself “is this guy for real?” As it happened over and over again, however, I had little choice but to believe you. I don’t know how, but you’re able to visualise a game right down to its very details, as if the finished game is working inside your mind. If not, how else could you have been right so many times? Even now, Masahiro Sakurai, of all the people that I know, you especially can readily form an image of how a game will look when finished. That’s why I knew that you would be capable of putting together the ideas of the talented staff around you. If you don’t have a person like that pulling together different ideas, you need a lot of trust within the team or the project will not go anywhere. When a project has just begun, it’s natural for directions to come from a vague concept of the product. It’s natural for there to be revisions and twists and turns, and as this continues, the project becomes something different than it was at the start. This is not necessarily a bad thing and happens all the time when designing games. However, this only works because of the trust built up from the past of a long working relationship. That’s why it was so unusual to recruit outside staff solely for the purpose of making such a large-scale game. Yet it was exactly this type of thinking on which I was betting our success. In actuality, it did. I’d like to take a moment to explain something since it might not be readily apparent to our customers, but making something is often thought of in terms of following a series of steps from start to finish. In reality though, it’s quite different and there are several places at which you can go astray when designing a game. There are many circumstances in which you can’t envision how another person will feel about something until you’ve tried making it yourself. For this reason, there are many cases, unfortunately, in which you make something that seems theoretically right but ends up being a mess. At least in my experience that is. And, if you’re wondering whether I’m capable of producing a final product exactly the same as the one I envision in my mind, well the answer is a definite no. Of course there are things that never made it into the game. 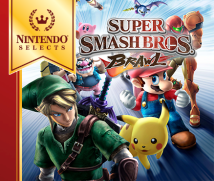 I think it was your unprecedented development strategies that enabled Smash Bros. Brawl to take its shape. Of course, it must have taken a lot of hard work to get there. Yeah, you got me there.